Interest in health and fitness has been on the rise over the last decade. A boom in exercise and nutrition like this hasn't been seen since the 1950’s. With this, millions are spent on research and development by fitness companies around the world. The result is a wide range of innovative exercise techniques and nutrition supplements every year. But this surge in innovation has also created a problem. Many products that arrive nowadays are either unnecessary or ineffective. This is particularly true in the supplement industry. A host of reports have come out showing that many supplements marketed to people may have unnecessary ingredients, or provide little benefit. This can make it hard to tell whether a new supplement will be a cutting edge addition to your diet or an overpriced gimmick. These are exactly the questions that face the new MK-677 supplement. To help you make informed decisions, we put together a full breakdown of what the supplement is, how it works, and how it can be used to help you reach your health and fitness goals. MK-677 is a Growth-Hormone-Releasing-Hormone, or a Growth Hormone secretagogue. As the name implies, this means it causes a release in Growth Hormone. It does this by mimicking the hormone ghrelin in the brain. You may have heard about this hormone before as it is a key chemical in hunger. Recently, there have been a few of these products to surface on the market, including Growth-Hormone-Releasing-Peptide-6 and Hexarelin. One of the perks of this particular version is that it doesn't affect cortisol levels. The so-called stress hormone doesn't increase with the use of this supplement, which stands in contrast to a few of its counterparts. This mean that increased fat storage, anxiety or a rise in blood pressure shouldn't occur with its use. 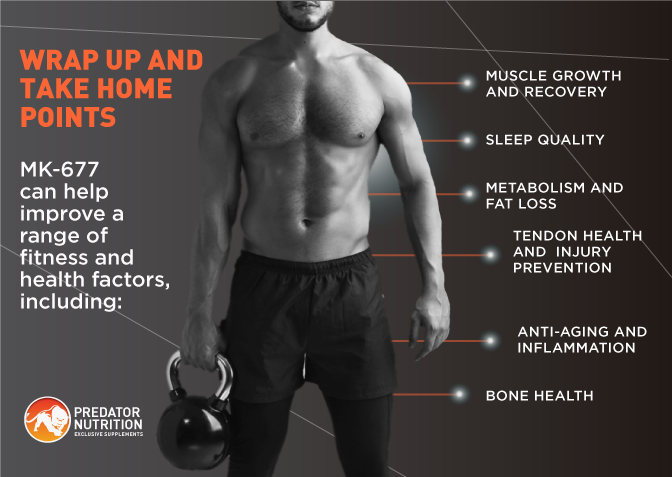 These factors all combine to create a safer and a more effective supplement that can help increase Growth Hormone levels naturally. Basically, the active ingredient in the supplement binds to ghrelin receptors in the body. This then leads to an increase in the amount of Growth Hormone released from the pituitary gland in the brain. It does this while leaving cortisol unaffected. This can then lead to an increase in hormones like Insulin-Growth-Factor-1 (IGF-1) from its metabolism in the liver and other tissue. All of these have been shown to be beneficial for fat loss, muscle and bone growth, and recovery. So, in theory, MK-677 should provide an ideal supplement for those looking to improve their health and physique. It could also be useful for athletes looking to get more out of their training. A lot of supplements have been shown to have beneficial effects in cell cultures and rat studies. Unfortunately, many of these don't translate to benefits to humans. So, does the research support the use of MK-677 for the above purposes in humans? 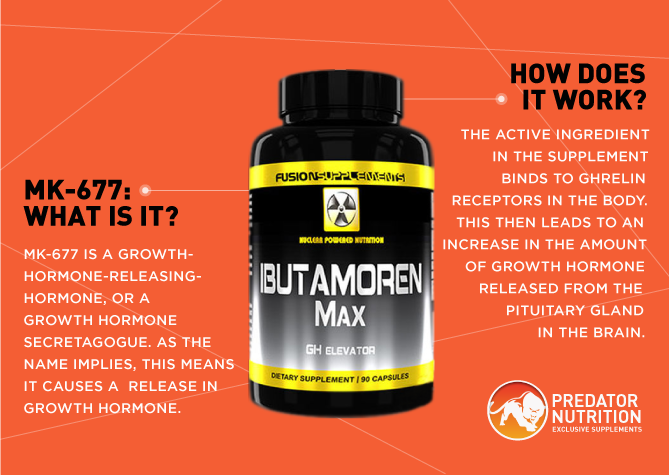 Studies have shown that supplementing with MK-677 can increase the amount of Growth Hormone released in the body. It's also been shown to help boost IGF-1 levels. But, how does this help with health or fitness? Both IGF-1 and Human Growth Hormone (HGH) have a beneficial impact on muscle growth and recovery. Increased HGH can help improve muscle mass, even without impacting protein synthesis. It also helps boost muscle protein synthesis and fuel metabolism in endurance athletes. Meanwhile, IGF-1 plays a key role in muscle health through reducing muscle breakdown signals and promoting signalling that encourage muscle growth and development. HGH and IGF-1 can also increase the number of cells in your muscles by activating surrounding “satellite cells”, which could permanently improve your potential for strength and muscle growth. IGF-1 also reduces inflammation that can cause muscle breakdown, depresses the immune system and slows down recovery from training. It may also preserve and promote nerve health. MK-677 has also been reported to help sleep quality, which can indirectly improve recovery further. So, increasing levels of these two hormones can help improve how quickly, and how well you recover from training. This can help boost fitness levels and performance. Take care if you're competing though, as the World Anti-Doping Agency consider this a “banned substance” and test for it when assessing high level athletes. Another benefit of higher HGH levels is fat loss. Multiple studies have shown that higher HGH can both increase fat burning and lead greater fat loss. HGH also helps preserve muscle mass when reducing calories. This is partly because of better nutrient absorption and use. Interestingly, IGF-1 has an opposite effect. High levels of the hormone have been shown to reduce fat breakdown and even lower insulin sensitivity. Fortunately, the effects of HGH seem to override the above issues, leading to an overall loss of fat and higher metabolism with MK-677 supplementation. So, if improving your physique or fighting obesity is your goal, MK-677 can help you reach it. 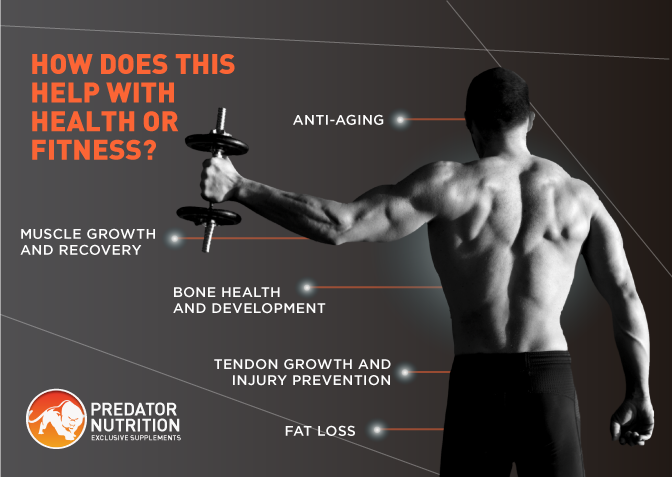 Another perk of the improved nutrient metabolism HGH brings is improved bone health. Higher HGH levels are associated with higher bone density and development. This means that supplementing with MK-677 could help prevent injuries like stress fractures in athletes. It could also be useful in preventing osteoporosis and reducing bone fractures in the elderly. Its value is further improved by its impact on connective tissue like tendons and ligaments. Higher HGH has been shown to boost connective tissue development, which could help prevent injury. This is particularly useful for elite athletes who are especially susceptible to tendon tears from intense training. Along with benefits to bone health in elderly people, one of the primary uses of products like MK-677 is in fighting aging. This is because higher HGH levels help promote growth and recovery in older cells. This combines with the anti-inflammatory actions of IGF-1 mentioned above to help maintain cell health and prevent breakdown. Meanwhile, higher IGF-1 levels may help maintain brain matter development. The above benefits, without an added increase in cortisol levels, create a very useful supplement for those trying to fight the aging process. So, whether you're an athlete or someone just looking to improve their health and appearance, MK-677 can help. Now the question becomes how best to take it to get the most out of it's effects. 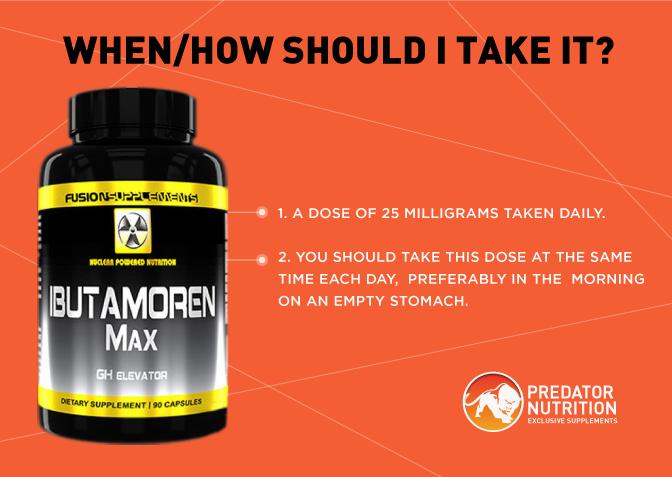 You should take this dose at the same time each day, preferably in the morning on an empty stomach. Following the above guidelines should help provide the supplement’s benefits while minimizing any potential side effect. It will also help absorption of the supplement. The supplement should also be accompanied by a high quality diet and training program in order to maximize results. This diet would include high protein, sufficient vitamin and minerals, and healthy fats. Meanwhile, a varied or sports-specific training program should be carried out. This should include weight training and cardio where appropriate. The way in which this supplement works in the body means it is one of the safer and gentler HGH-releasing products on the market. But, there are still a few side effects that can be experienced if the item is used excessively. One issue that might occur if you use this product for too long is desensitization of the hypothalamic-pituitary-axis. This basically means that the receptors at the hypothalamus and pituitary glands will stop responding to a given amount of MK-677. This means it will stop releasing the same amount of HGH for each serving and could eventually lead to no HGH release at all. This can continue to occur even after supplementation has stopped. To avoid this, use of the supplement should be cycled. 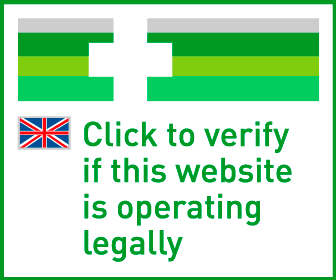 This will ensure safe and effective use and will mean that you can continue it's use over multiple cycles. Another potential issue with taking higher doses of MK-677 is it's impact on prolactin. This hormone is usually known for promoting breast milk in women. But, it can cause a drop in testosterone and estrogen levels, depress the immune system, and may affect mood. So, keeping doses within the recommended range can help prevent any issues related to excessive prolactin levels. This will ensure that your cycle is as effective as possible and enjoyable. These all combine to create a supplement that is effective and safe to use for health and fitness purposes. But, take care if you're using this item while competing in a drug-tested competitive sport, as it may lead to a failed test. But, if you're a casual athlete or just looking to improve your appearance and well-being, this supplement can help you reach your goals.